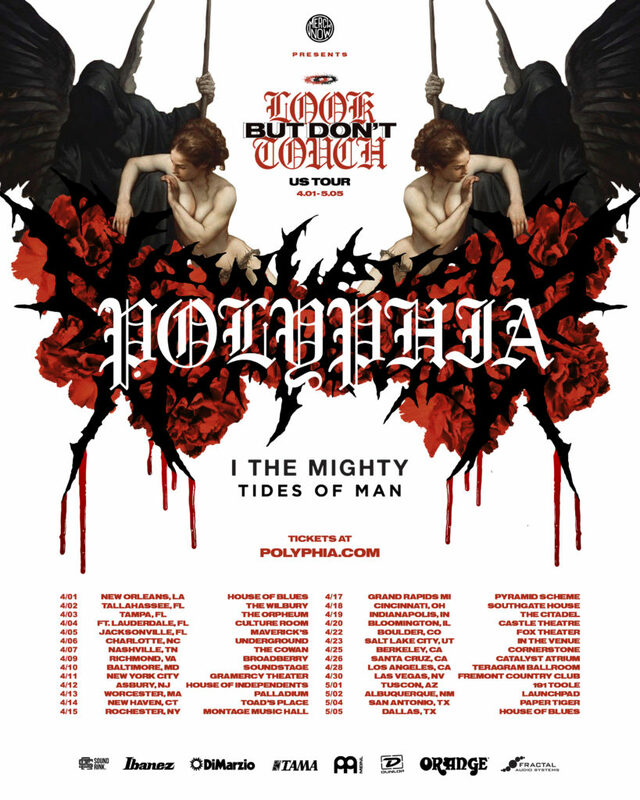 Genre-defying instrumental heavyweights, Polyphia, have revealed the dates for their first US headlining run of 2019, their second national tour in support of their 2018 breakout album New Levels New Devils. The tour will span throughout April into May and includes openers I The Mighty and Tides of Man. Tickets are on sale February 8th at polyphia.com. New Levels New Devils, landed hard on the Billboard charts last year, hitting #1 on Independent Albums, #2 on Current Alternative, #3 on Vinyl, #4 on Current Rock, #6 on Digital and #61 on the Top 200. The record features guests from all over the map including singer-songwriter Cuco, guitarists Ichika, Mateus Asato, Jason Richardson, Erick Hansel and Mario Camarena from Chon, and Yvette Young from Covet. New Levels New Devils also marked a shift into uncharted territory where the band further blurred the lines of genre by partnering with Y2K (Killy, Yung Bans) and Judge (Migos & Marshmello, Young Thug) to help produce the majority of the tracks. Since the album release, Polyphia has been playing sold out shows across the US, Asia, and the UK as well as announcing their tour of India. The start of the new year also brought the announcement of signature Ibanez guitars for both Tim Henson and Scott LePage, solidifying their places as modern guitar gods.